Ever since I tried making wings at home, I’ve been obsessed. I made chicken wings the first time with a stout beer and mustard glaze. Delicious, and I’ve been trying some new ways to glaze them. The cooking of the wings is the same, dredge in cornstarch and fry them up. I’ve tried a glaze from my favorite grocery, a hot honey glaze, and now this apricot concoction. 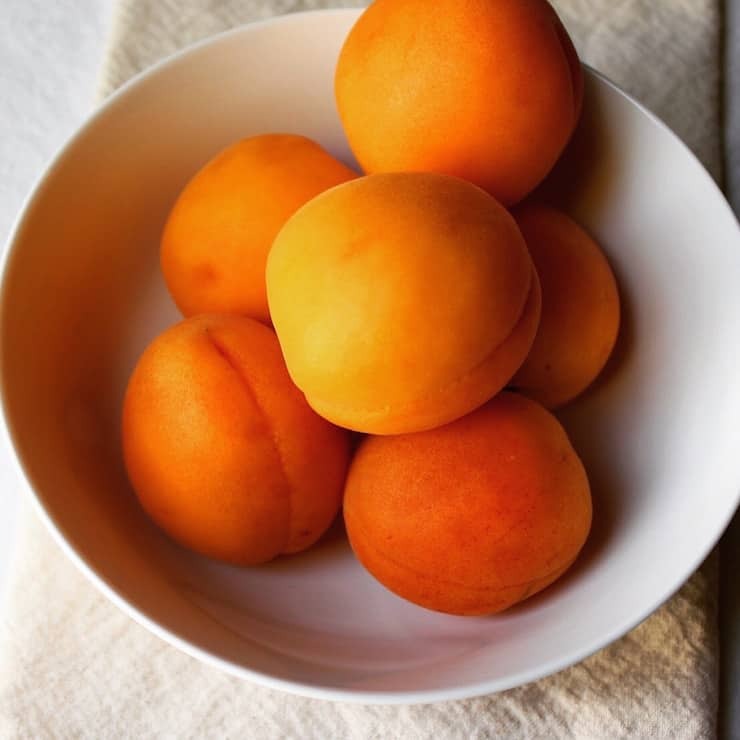 A couple of weeks ago, I came across some really nice fresh apricots at the store. I made a small batch of jam, just one jar. So easy and so good. I was spooning some on my yogurt with walnuts for breakfast and thought, let’s try some on wings. My aunt mixes apricot jam with horseradish and dips coconut shrimp in it. Yum. Spicy it was decided and hot apricot glazed wings were had, twice so far. These really aren’t too spicy, in fact, the glaze has a kick but mellows somewhat when tossed on the wings. I use a little homemade jam, I’m assuming store-bought would work just fine, and add cayenne, lime zest and juice, garlic and a little smoked cumin. 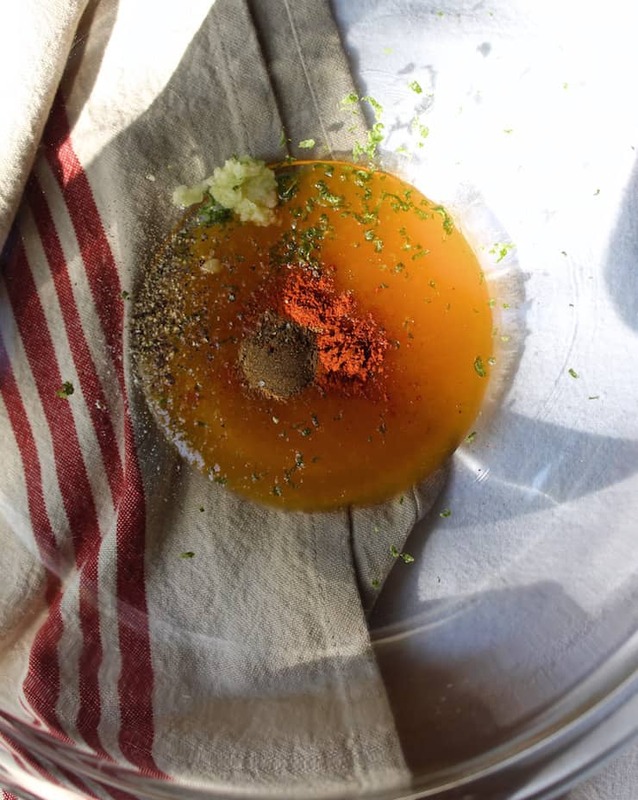 Toss the hot wings in this mixture to coat and I’m telling you, delish. 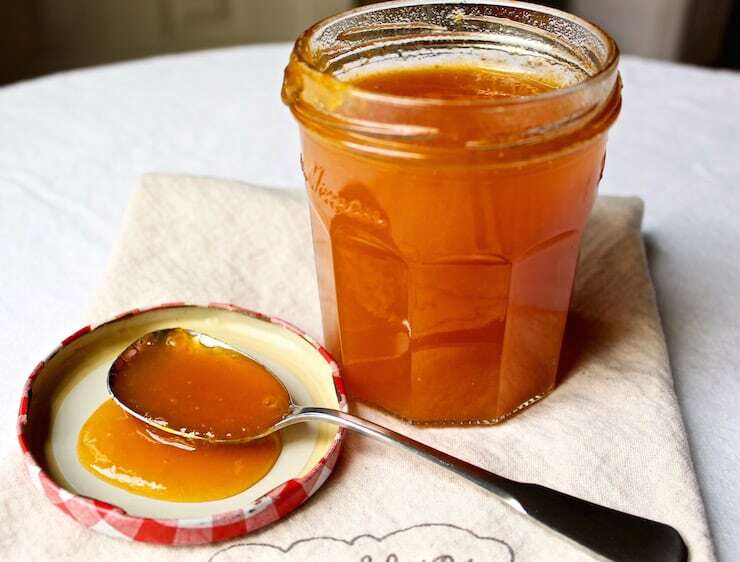 You could use honey instead of the apricot jam and omit the smoked cumin. Hot honey wings are super good too, a little spicier. I love them both ways, with blue cheese dressing. I’m sure I’ll keep on with my wing obsession and come up with some more glazes. 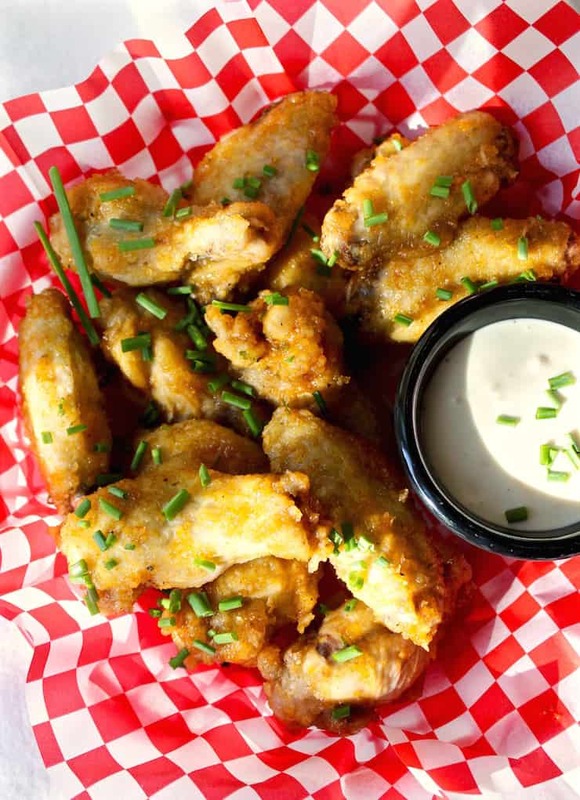 Try these hot apricot glazed wings, you’ll love them. We have them for dinner, they’d also be perfect for the big game day or party. Happy summer! 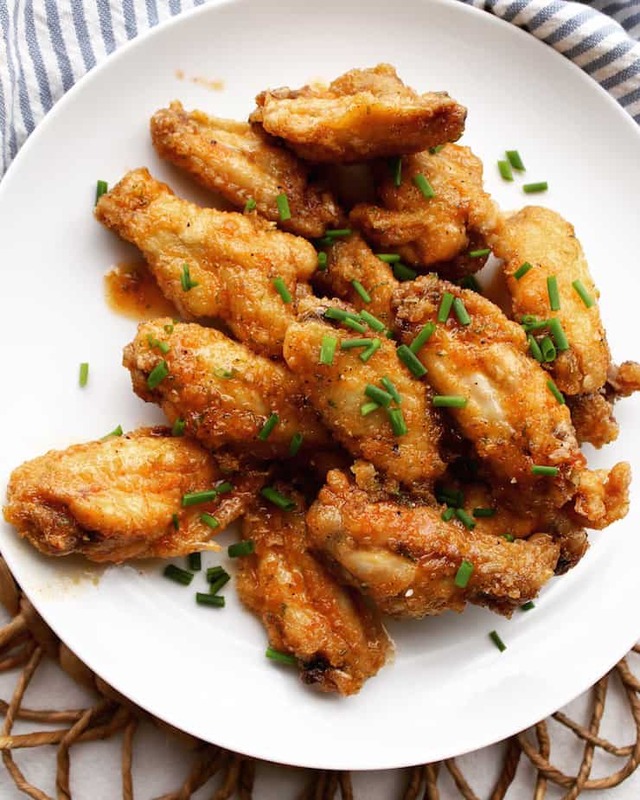 Simple fried chicken wings with a sweet-spicy apricot glaze ~ perfect game day appetizer. Make glaze. In a medium bowl, combine first 7 ingredients and mix well. Taste, adjust heat factor if desired with a little more cayenne. Set aside. Preheat oven to 200º and line a sheet pan with paper towels, place a rack on top. Fill a 4-quart pot with 3 to 4 inches of vegetable oil. Use a thermometer and heat oil to 350º. 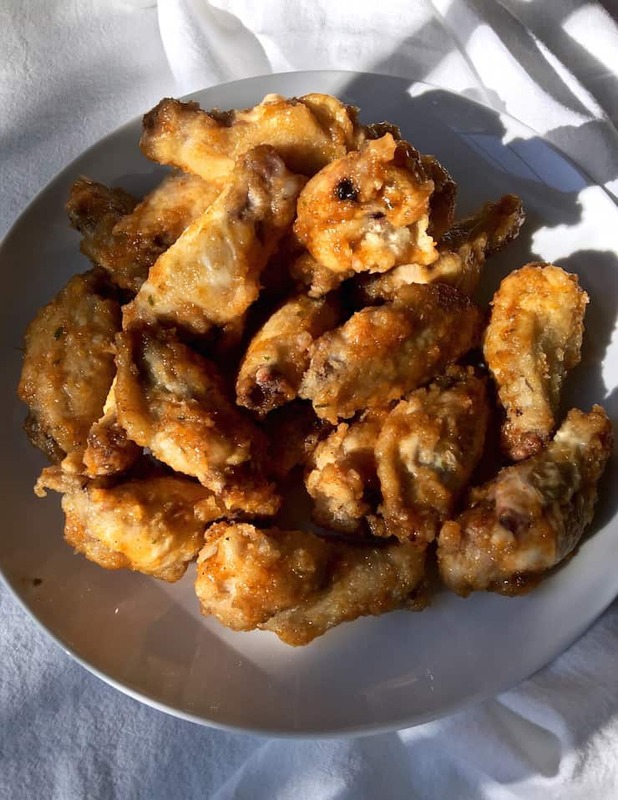 While the oil is heating, dredge chicken wings in cornstarch, shaking off excess (dredge a second time just before frying for more crunch factoand set aside. 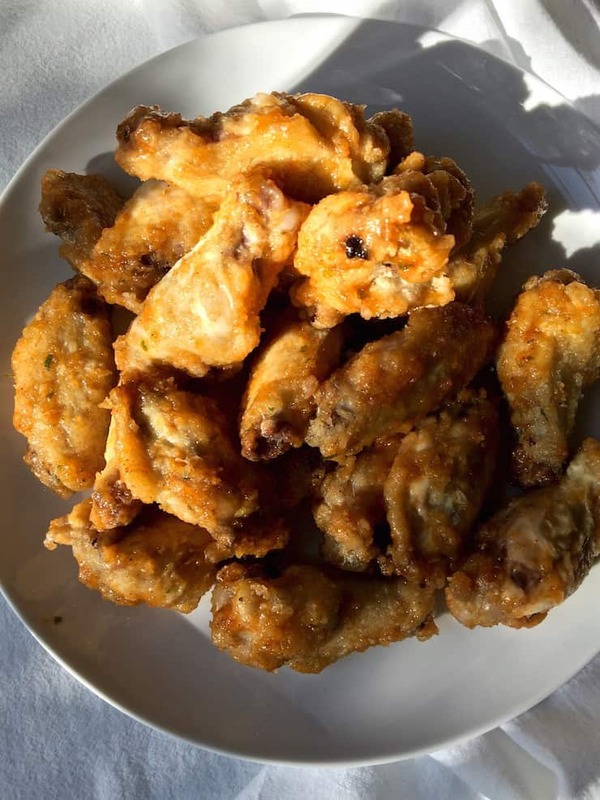 Fry wings, several at a time, until the skin is golden and crisp, about 5 to 6 minutes. Drain wings on the rack on the lined pan and keep warm in oven until all wings are fried. 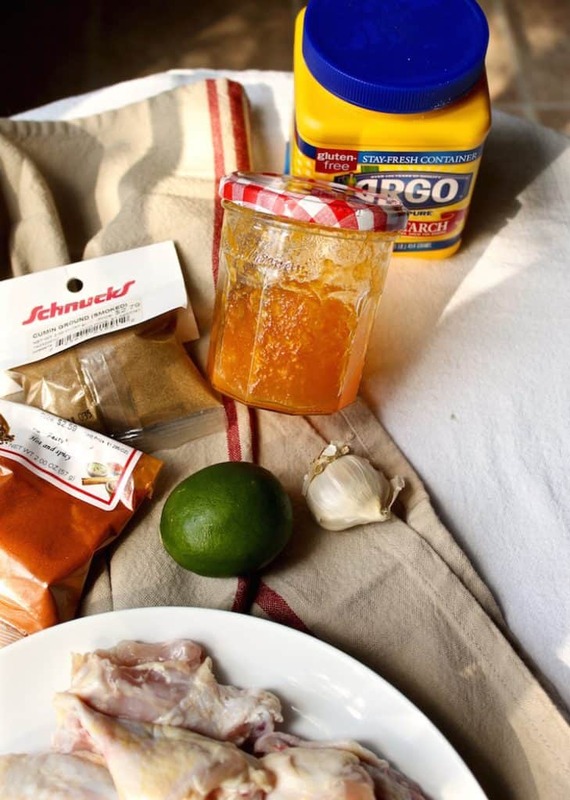 Toss hot wings in the bowl with the apricot sauce and gently toss to coat well. Remove to serving plate and sprinkle with snipped chives, serve immediately. Kelly – loved the wings. I’m from STL where wings are superior 🙂 I see a Schnucks brand on the spices… are you from around here? Thanks again !